Growing up in Illinois, it seemed as though our neighbor to the north, Wisconsin, was almost as big a part of my life as my own state. I spent summers for nine years camping in the North Woods. Cousins of my mother’s had a cabin in Wisconsin, and we visited them. Vacations when my brother and I were very young (even before my camping days) often involved Wisconsin, both at “attractions,” including the Wisconsin Dells, and relaxing escapes to small lakeside cottages, where swimming and fishing were the big delights. Much later, my parents lived in Wisconsin for a few years, when my dad was sent there to help build up a small candy company (it was during this time that I discovered the joys of Friday Fish Fry in Wisconsin). And I have always found something to draw me northward, from the Wisconsin State Fair to the House on the Rock to the places mentioned previously in this blog. 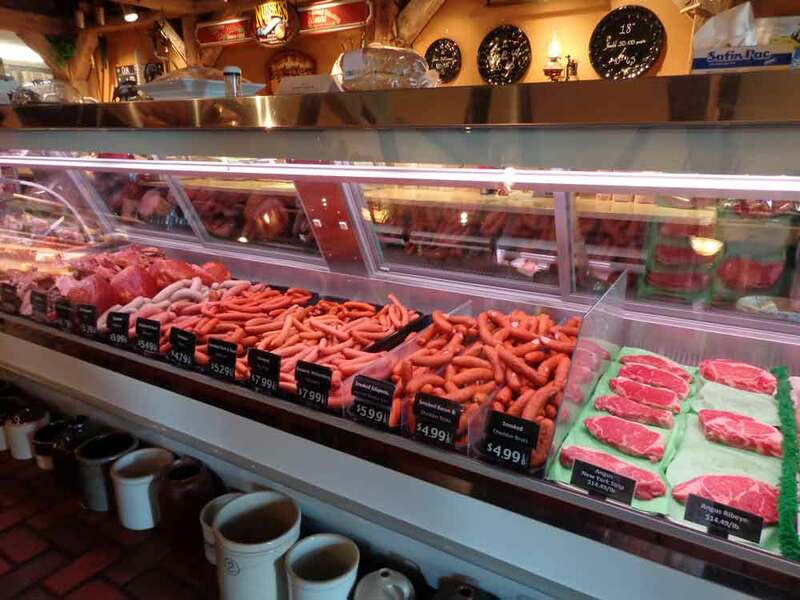 On a recent drive across Wisconsin, as I neared Wittenberg, I turned my wheels toward one of the many German-influenced culinary delights the state offers: Nueske’s Applewood Smoked Meats. While Nueske’s is probably best known for their bacon, they make a wide range of smoked delights, some of which are only available at their handsome headquarters. 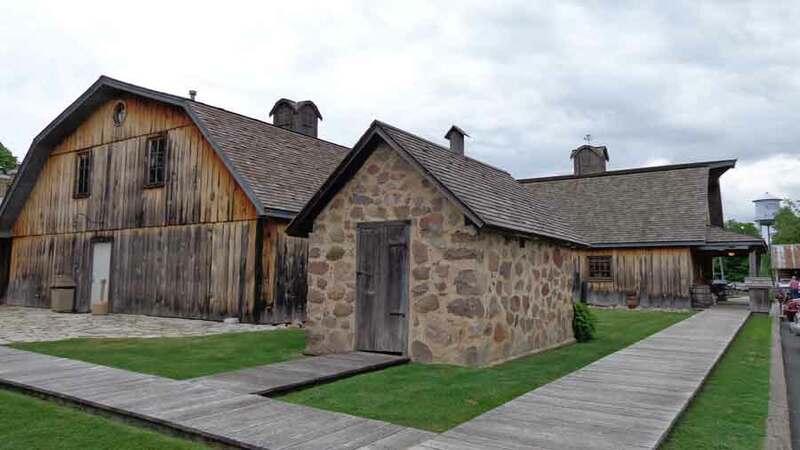 Here, the original smokehouse, used by the first generations of Nueske’s nearly a century ago, has been kept as a memento of their history, because they smoke far too much meat these days for it to handle the demand. Still, it is a fairly small company, family owned and true to its heritage. 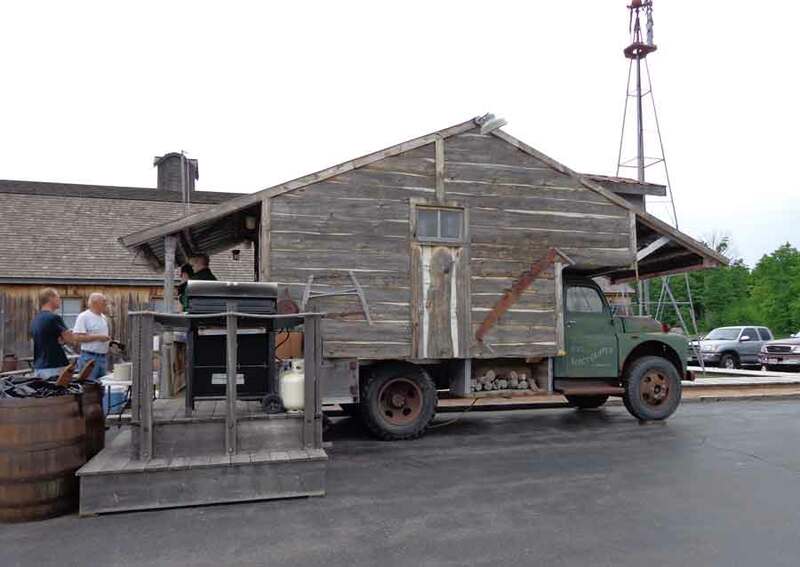 In addition to an impressive array of meats inside, during the summer, there is a “mobile home” out front, a log cabin on a truck bed, that serves up great sandwiches and smoky baked beans for those who stop by. So while it’s not a “destination” in the sense that anyone would plan a trip there, it is definitely a great place to stop if you’re in the area.